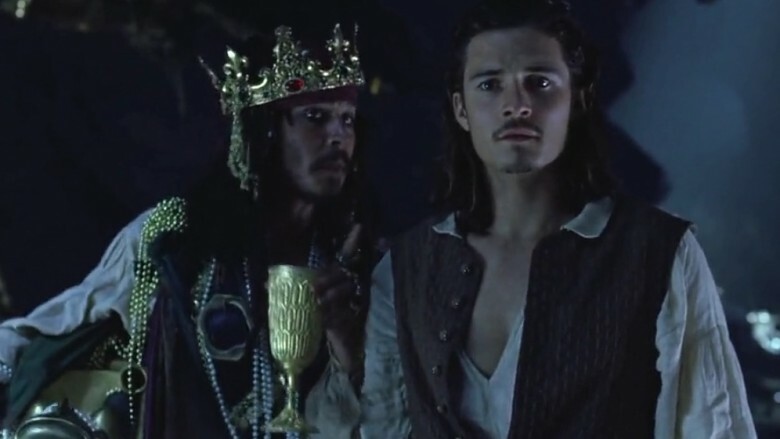 Based on a theme park ride, there's probably no one who would've expected Pirates of the Caribbean: The Curse of the Black Pearl to do as well as it did. Sure, it's a Disney movie, but Curse of the Black Pearl was a bona fide monster hit that spawned several sequels of varying quality. 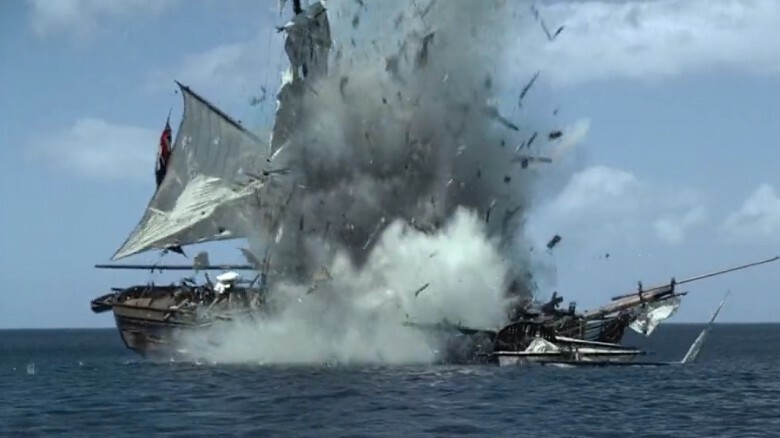 The crux of the story depends on the crew of the Black Pearl attacking Port Royal at the exact same time Jack Sparrow happens to stumble into town. Which is somewhat plausible, considering they might both be going in that general direction. But what are the odds Jack would just so happen to be in the right place to save the young lady who stole the medallion a decade ago to get himself wrapped up right in the middle of the action? Yes, movies (especially kid-friendly movies) often depend on wild circumstances to get started, but this one cranks it up to 11. Why did Elizabeth never ask Will about the medallion? Will grows up apparently never realizing his father, "Bootstrap" Bill, was a pirate, mostly because Elizabeth took it off him when he was rescued as a child. Then the story jumps ahead about a decade. They live in the same town, so why hasn't she at least asked him about the medallion at some point? She kept it out of equal parts crush on Will and equal parts pirate obsession, but it never managed to come up over the course of 10+ years? She also never actually returned it, since she technically stole it from him (to keep him safe so the soldiers wouldn't think he was a pirate, but still). For the most part, Curse of the Black Pearl is a mildly scary, seafaring ghost story that shouldn't give kids too many nightmares. But if you pay attention, it includes a few stone-cold kills. Most notably, when the pirates are coming for Elizabeth, her butler opens the door and the pirates shoot him dead at point blank range. It's a shocking moment for a PG-rated family movie. There's also a whole lot of chaos during that assault, and of course you have some shootings and deaths of the bad guys toward the end, but blowing away an innocent man face to face is some bleak stuff for a kid's movie. Why weren't Will and Elizabeth cursed? The curse at the heart of the movie is still a little vague, but it's built around anyone who steals the Aztec gold being cursed. 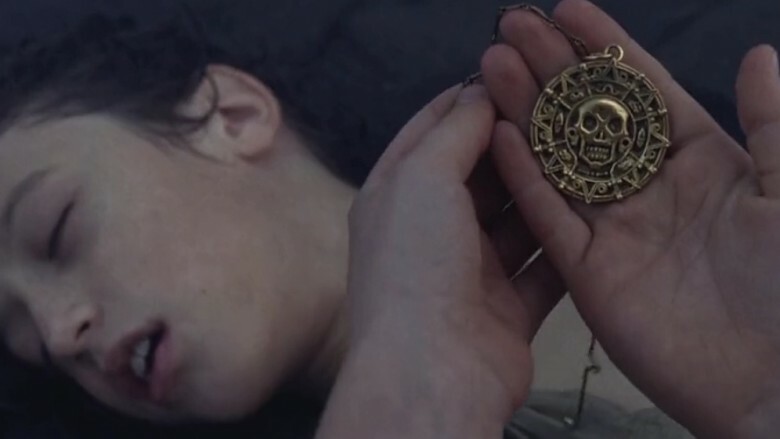 So why aren't Will and Elizabeth cursed for having the medallion all these years? They're in possession of a stolen piece of gold from the treasure chest, so shouldn't they be affected? This has been explained away by some fans who point out that Will and Elizabeth didn't actually steal the gold in the first place — they just took it second-hand — so they wouldn't be affected. That makes some sense, but it still feels inconsistent with the idea of a curse. You'd think a curse with this kind of teeth would have a little more bite. 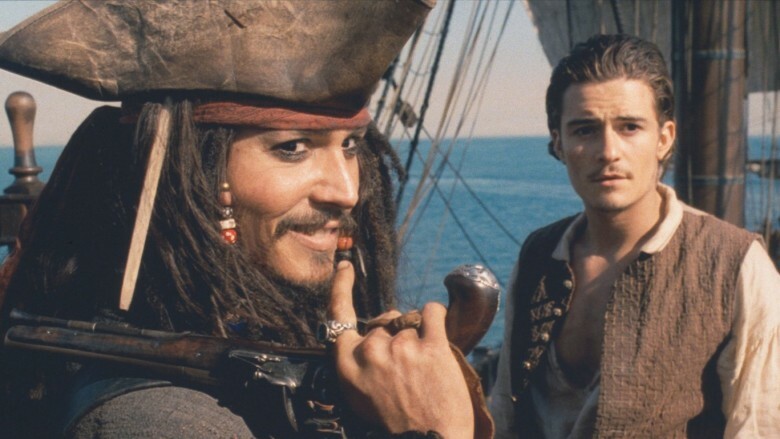 At the start of the film, Elizabeth negotiates for the safety of Port Royal by threatening to throw the medallion into the water. She spooks the pirates, and they back down. But why were the pirates worried about her dropping it off the side of the ship in the first place? Don't they show up in the town because they could sense the coin in the water, meaning they can apparently track it? We see them walk through the water at the bottom of the ocean. They're dead. They could just walk on down there and get it, no problem, right? Plus, they're in the port, so the water's relatively shallow and it stands to reason it wouldn't go too far. 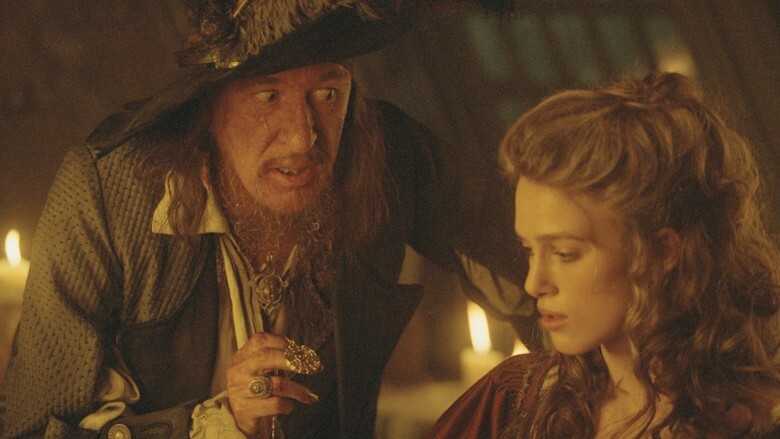 Captain Barbossa shows up and attacks Port Royal once the pirates sense the coin is there, and yes, they're pirates — but why not propose a truce to try and get this curse solved? Pretty much nobody wants to have a bunch of immortal ghost pirates sailing the seas, so why doesn't Barbossa try to just cut a deal instead of attacking the town? Even later on, once they realize they need Will's blood to stop the curse, why not just work together to end the curse so everyone can go on? It's a bit anticlimactic, but really, everyone here is working toward the same goal, right? 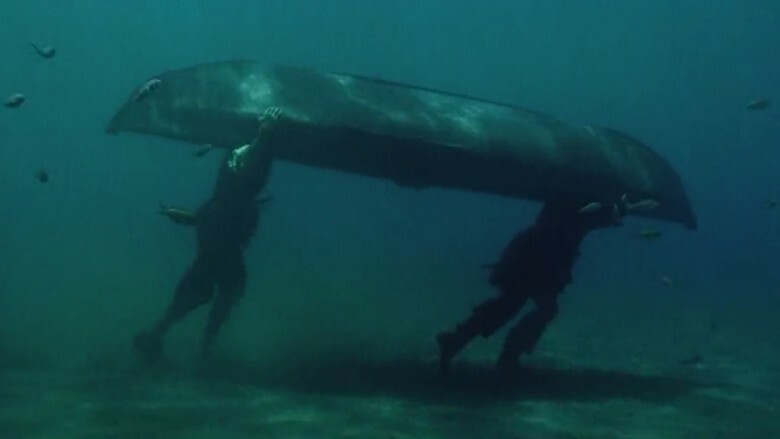 How did Jack and Will keep that canoe under water? Seriously, that's insane, right? Your body naturally floats, and holding a canoe down with an air bubble in it to the point you could walk on the ocean's floor is practically impossible, right? Sure, it makes for a cool gimmick, but how on Earth did they do it? Put simply: They couldn't. The science just doesn't support it, and there's no way they could actually keep this thing down there without either coming up for air or literally just drowning to death. That said, it sure looked fun. Wouldn't Jack die from that stab wound? 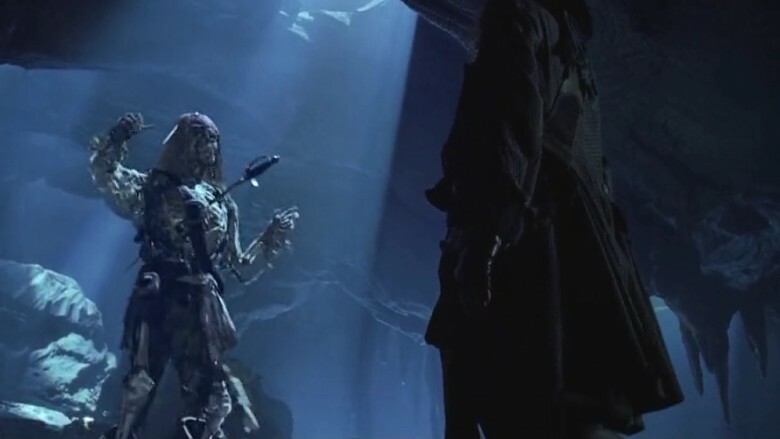 In the big climax of the film, Jack shoots Barbossa a moment before Will breaks the curse, and Barbossa dies from that gunshot wound. 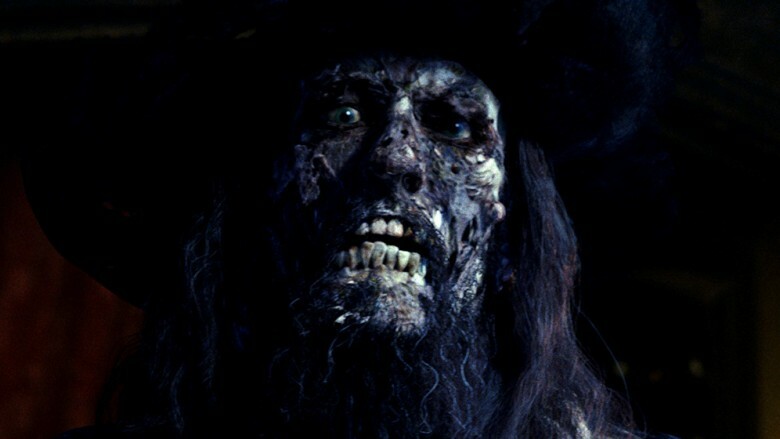 But, if an injury from before the curse being broken took out Barbossa, shouldn't literally all of the pirates be dead from the injuries they sustained during the curse. Heck, just a few minutes earlier, Jack took a sword to the chest. That didn't kill him when the curse was lifted, but the bullet took out Barbossa just a few minutes later? How did Jack know it would work? Why not wait for Will to just drop the coin, break the curse, then pull the trigger? If the Aztecs have the power to make this curse, why aren't they still around? This one's going a bit deep, but bear with us: The entire film is kickstarted by a magical curse from the Aztec gods, who cursed this gold after their people were taken out by greedy explorers. Well, if these gods are this powerful, why didn't they use some of that power to keep their people from getting wiped out in the first place? It seems a bit silly to only pull out the big magic for revenge, instead of actually protecting the people in the first place. How did Will survive the Interceptor's explosion? Will gets trapped below deck in a sinking ship, then that ship is blown up a few minutes later. It seems like Will is definitely dead, but then he somehow swims 100+ yards in a matter of minutes and is totally fine. But, how did he survive the explosion? We see him going deeper into the belly of the ship, but wouldn't all that chaos have almost certainly caused him to drown? If nothing else, the suction of the ship itself sinking would've created an undertow that could have pulled him under. Why leave Jack on the island again? 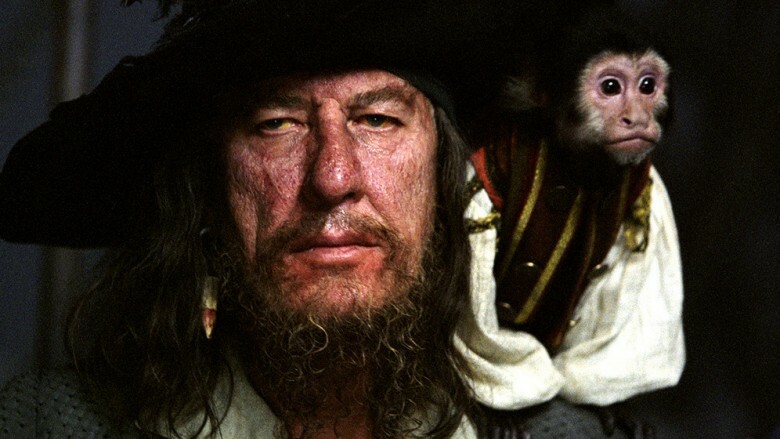 Once Barbossa gets the drop on Jack, his master plan is to make him walk the plank and abandon him on an island. You know, the same island he already escaped from. 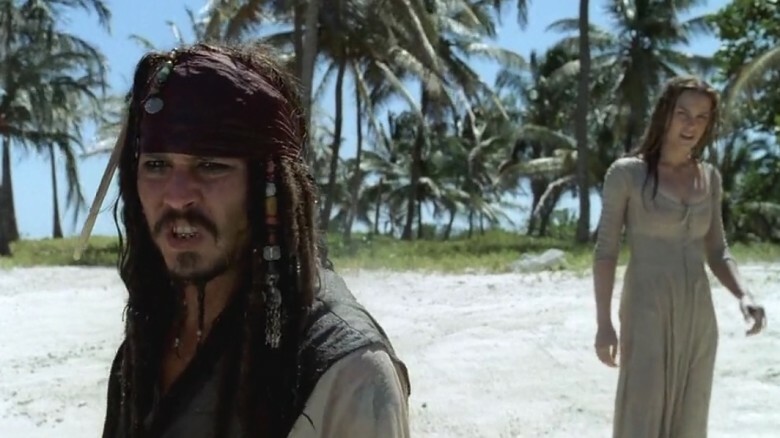 He has literally proven he is capable of getting off this island, so why did Barbossa think leaving him there again was such a foolproof plan? Abandon him on a different island or try literally anything else, because Jack has proven that island can't hold him. Sure, he got a bit lucky getting off there the first time, but still — all Barbossa knows is that he escaped. Why does he think he won't just do it again?